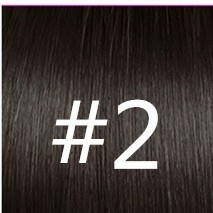 The Full Lace Wig is 22" #1 jet black jerri curl wig,medium Cap, light Brown lace cap,it is easy to care and use. For these Full Lace Wigs jerri curl,you can choose to flat iron it for a sleek, straight look. For added versatility, you can wet set this hair on rollers and get the look of a tighter or looser curl. The versatility of this unit allows for it to worn in a variety of styles including a high ponytail or updo and parting anywhere on the unit. 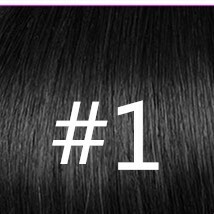 Our full Lace Wig will look, move and feel real. Light weight and comfortable on the scalp. Medium cap fits most heads. Q: Do you have quick ship wigs? Q: Does your wigs have baby hair? A:Yes, All our wigs have baby hair around. Q: When do you ship the wigs? 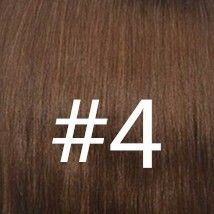 A: Usually, it takes 1-2 days process the wig, then we can ship to you. Q: When can i get the wigs? Q: can you wear it up in a pony tail? This hair is all that. Minimal shedding, great quality. I absolutely love my unit, I colored and shaped it, shampooed and put conditioner it, applied ultrasheen setting lotion, let it dry in front the fan. Styled it the next morning wore it all day, never matted up and was very impressed with the comfort of my wig. Very satisfied with the shopping and my customer experience. I Love the Jerri Curl Full Lace Wig. Amazing wig, I've had it for about a month now and I'm really enjoying it. You have to take care of it as you would your own here because of the texture but, if you do that it will last. This wig quality was lovely. Nice curly, same with photo, love the hair quality, I'm beyond pleased with the prompt service provided and the product received. will buy again. Without words! I am happy with my HAIR wonderful. I just received my wig today. I was pleasantly surprised at the good quality and feel of the wig.Package arrived quickly sellers communication was great. Love the texture and the curls. The wig is great, I got today and installed it today.The hair feels soft an looks very natural I must say there was light shedding but nothing major. okay, FIVE STARS. Prompt shipping and very professional packaging AND the wig is high virgin quality. I am very pleased with my purchase. I received so many compliments on this wig. You won't be disappointed! 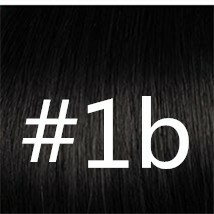 The hair is amazing, has great texture and the vendor communicated very well. The hair didn't take long to be delivered either. Very pleased with my unit. will definitely order again. 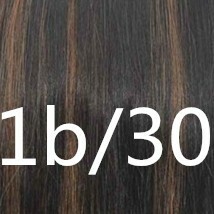 The seller was very great, she walk me through the whole process, shipping was good, and the hair is nice and silky. I LOVE Jerri Curl. Excellent! beautiful wig. Fits great! Full and beautiful. will definitely buy more. Full and beautiful. will definitely buy more.,it is easy to care and use. FAST SHIPPING! Wonderful! I am very pleased with the product quality with the price I paid for. It arrived QUICKLY, which is awesome.